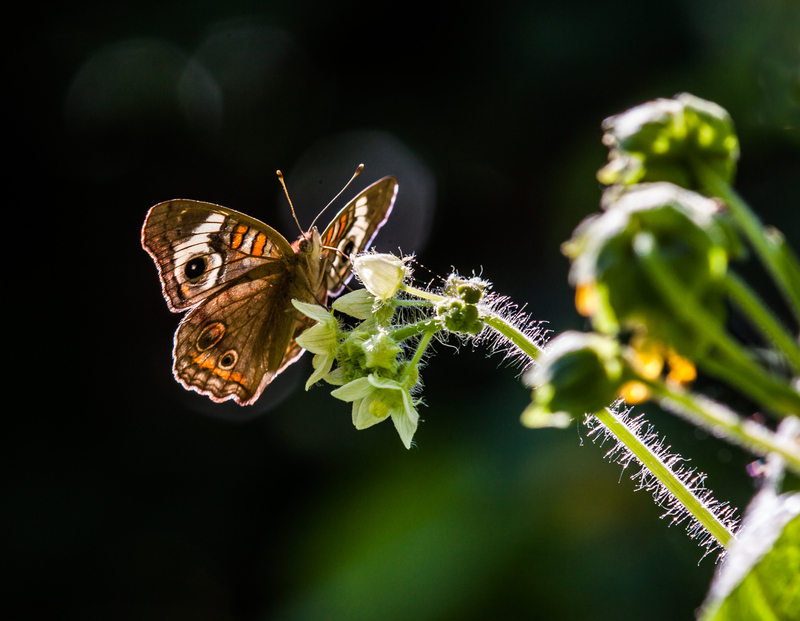 The directional lighting from the back and side gave a cool and dramatically uncommon vibe to this image of a Common Buckeye butterfly (Junonia coenia) that I photographed on 31 August at Occoquan Bay National Wildlife Refuge. The ground is saturated and rain continues to fall, so I am not sure that I will be out and about today with my camera. It is actually a good thing, I think, to go back and look over my photos—I sometimes get so caught up in taking new photos that I don’t stop and look over my slightly older ones. I am often pleasantly surprised to discover some jewels, like this image.